Robbie Helland, an Agromin employee, hauls away Christmas trees collected from Ventura County residents. 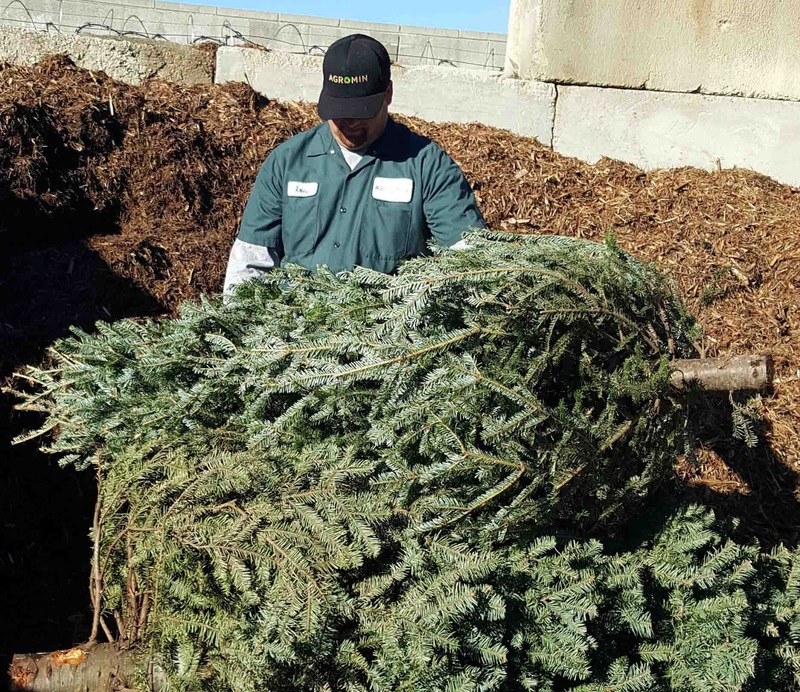 Within the first two weeks of January, Agromin recycled over 60,000 whole Christmas trees. In the past, Agromin would recycle about 100,000 whole trees. More and more residents are now following the guidelines of cutting up trees and placing the limbs and branches in their green recycling barrels. Once the trees arrived at Agromin, they were ground up and the material laid out into long rows to compost. In about 90 days, the finished compost and mulch (Agromin's ES-2 mulch) will be used by growers who incorporate the compost into the soil and spread the mulch around orchards to keep the root zone cool, reduce moisture loss, control erosion and prevent weed growth.